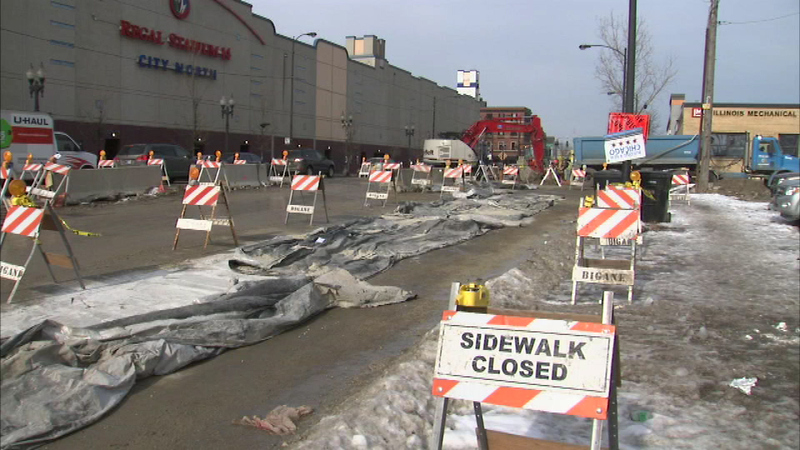 CHICAGO (WLS) -- Rolling lane closures are in effect as the Chicago Department of Water Management is installing a new water main across the 2800 and 2900 blocks of Western Avenue, near the intersection of Diversey and Elston. Work continues through 6 p.m. Saturday and from 6 a.m. to 6 p.m. Sunday. The new water main will replace the old one that dates back to 1896.